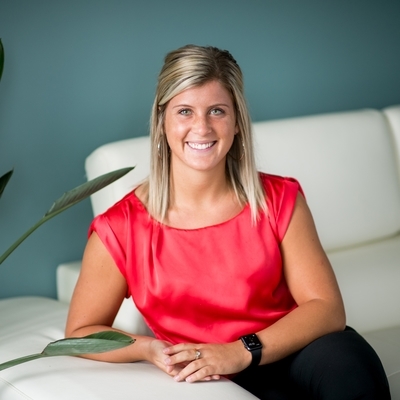 Courtney Osborn is the Marketing Specialist within TTA’s Marketing Department where she handles all areas of events including marketing efforts, logistics, preparation, and scheduling to best position TTA at each trade show we attend. Courtney believes that by increasing awareness about who TTA is and what we can provide, we are able to impact various organizations by supporting their L&D initiatives and helping them reach their goals. Prior to stepping into her first professional role at TTA, Courtney interned at two organizations as a Brand Development intern and a Digital Marketing intern. Courtney holds a Bachelor of Science degree in Marketing from the School of Business at Rhode Island College. Although marketing is my passion and is undoubtedly the correct path for me, growing up I really wanted to be a veterinarian. I love all kinds of animals and would love to spend all day with them. Too bad blood makes me nauseous and I cry when animals die, even in movies. If I were to describe myself as an animal I would be a monkey. I love being active, and I was a gymnast for 19 years, so if there is something to swing on or climb, you can find me there. My dog, my cell phone, and Katniss Everdeen (so the odds will forever be in my favor). Marketing is not only my career, it is also one of my passions. Every organization needs marketing regardless of the field, and marketing is constantly developing and changing. There is no specific mold that marketing fits into and it continues to progress along with new environment developments, making it impossible to become stagnant within your career. Marketing provides a plethora of completely different career paths, which allows for an infinite amount of career growth. My motivation to work hard comes from my belief that nothing is worth doing half way and that you should always put your 100% best effort forward. Growing up my parents always stressed the importance of a good work ethic and the idea that good things come to those that work hard. These words have proven true so far in my life, and this is something I live by each day.